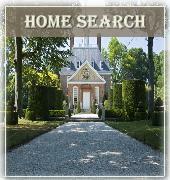 Looking for an alcohol free way to celebrate New Years Eve in Williamsburg VA ? Williamsburg’s First Night event celebrates its 21st anniversary on Dec. 31, and there are festivities planned from 3 to 11:45 p.m., concluding with a grand finale of fireworks. The children’s activities begin at 3 p.m. at Matthew Whaley School with special performances, food, games and a special children’s version of fireworks done in time for the little ones to head to bed. Performances on the main stages — located at historic venues in Williamsburg — begin at 6 p.m., with most continuing through 11:45 p.m.Enjoy the area’s finest professional entertainers including singers, instrumentalists, magicians, storytellers, puppeteers, jugglers, clowns, bands, a Big Band orchestra and more! A variety of music is featured, including classical, shag, blues, R&B, Broadway, jazz, country, blue grass, folk and patriotic. All performances take place indoors. At midnight, the New Year is welcomed with a large fireworks display at Zable Stadium at the College of William & Mary. The best viewing seats for the fireworks are at the stadium. Pachanga will serve as the Finale musical act. 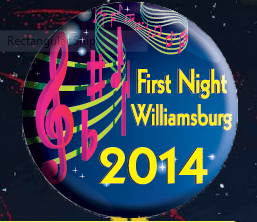 Admission to all performances is included when you purchase a First Night button for $15. Children under 5 years old are free. Bus shuttles between event locations are free with a button. Make sure to bring a flashlight to help with outdoor navigation between events. Plan your stops ahead of time using the maps and schedule available on the First Night website — firstnightwilliamsburg.org. Plan several alternative events to attend as crowds are large and events fill up early. Blues harmonica player, vocalist, and songwriter Bobby ‘BlackHat’ Walters brings together the finest blues musicians in Hampton Roads to perform classic, modern, as well as original blues tunes that will keep your toes tappin’ and your hips shakin’ all night long. The family friendly program is a thoroughly interactive storytelling session presented by Buffalo Bill himself! The kids get to take part in reenactments of Buffalo Bill’s True Tall Tales, the Wild West Show, and a Snake Oil Show. There is even an Old Fashioned Melodrama with kids starring in the roles of villain, hero, and other westerners! Celtica is a six-piece ensemble featuring classic Celtic music ~ those timeless tunes you”ve always loved, and always true to the original … with perhaps one or two little changes! The best of Ireland, Scotland, Wales and others are brought to you with fire and verve. Celtic music to fire up the soul and reminisce about past memories and future dreams. Clan MacCool is a high energy, interactive,entertainment of traditional Irish,Scottish and Maritime songs and tunes with a definite Piratical twist! Clan MacCool has a fun style that encourages singing along and audience participation. Their repertoire spans several centuries of songs and tunes, and they put on a great show. In Hollywood, they say it takes smart actors to play stupid characters, and nice guys to play nasty villains. Cox is the poster-boy for the latter point. He played slithery corporate snakes in "RoboCop" and "Total Recall;" but as a singer-songwriter, he is a study in easygoing amiability and unforced charisma. He charms crowds with self-teasing humor, tart progressive insight, and a lulling Southwestern folk sound. His repertoire is a smart mix of witty ditties, bluesy swing tunes, heart-on-sleeve romances, and real-life anthems. C. Shells is a children’s musical duo comprised of Cindy Kays and Shelly Craig Potter. Together Cindy and Shelly have over 45 years of musical experience. Shelly, a Hampton Roads native, has been a featured solo performer at many local clubs and blues festivals. An accomplished guitarist and teacher, Shelly performs a diverse variety of music from blues to bluegrass. A native of Lancaster, PA, Cindy has performed folk and Celtic music at colleges and pubs in Virginia, Pennsylvania and South Carolina. She also teaches beginner mandolin at a local music shop. With a delightful mix of songs and musical styles, "C. Shells" will have children of all ages laughing, smiling and stamping their feet. From rock ‘n’ roll to Cajun, waltzes to ragtime, blues to bluegrass, Cindy and Shelly want everyone to have fun at their concerts, so check your repertoire of dog barks and duck quacks and bring them to the show! A nationally awarded songwriter, Ron Fetner’s music has been labeled a ‘unique blend of New England Folk and the soul of the South.’ Incorporating elements of folk, southern Appalachian, rock and jazz, Ron has found a voice in our American music. Members of all the choirs of this 225-year-old church will combine to present a varied program of religious vocal music including hymns, anthems, spirituals and gospel songs. Join us for the annual Finale of Fireworks at midnight. The Hilton Brass is the Peninsula’s preeminent, professional, chamber brass ensemble. The quintet, which is composed of local musicians, has delighted area audiences since 1983 with its exciting and diverse musical offerings. Comfortable with all styles of music, the Hilton Brass can make your special event truly unforgettable. Drummer, composer and jazz producer/announcer on Norfolk public radio, Sinnett is joined by pianist Justin Kauflin and bassist Terry Burrell in a program of performance and discussion of jazz music. Although fully in command of her acoustic guitar, Kim’s voice is the true instrument. Her song selection and interpretation echoes her spirituality as she alternately lifts you, rocks you, soothes and seduces. A fast-paced Kenya Safari Acrobats – a troupe generally consisting of six to eight highly-trained athletes – take the stage for jaw-dropping acts and antics. Though thousands of miles from their African homeland, the Kalamas incorporate much of their native culture into their high-energy shows. The Kalamas and company bring to the stage, a unique mix of education and family entertainment. The stage acts include fire ring jumping, a human pyramid, magic, feats of strength and Krystina Kalama as a contortionist. Smart comedy, flawless musical impressions… and lot”s of heart. Williamsburg’s local clown troupe will entertain children of all ages with face painting and balloon sculptures. Kolonial Klowns of Williamsburg operates as a nonprofit, educational organization and features awarding-winning clowns among its members. Little Windows creates a mix of Appalachian and Irish music, and traditionally-based originals, with a special focus placed on unaccompanied ballads. They also explore the spiritual nature of song and harmonic sound. Tim Nolan is a professional juggler and basketball trick shooter from Elizabeth City, North Carolina, who now lives in Norfolk, Virginia. He has performed at the White House, Busch Gardens, the Guinness Museum in London, the Super Bowl, and the World’s Fair. A collaboration of two groups one originating in 1984 and the other in 2013 featuring hits from the 60s through the 90s all in the area of Rock. These guys have all played together in various settings including Classic, Christian and Modern Rock all coming together in a musical celebration for the season. Poisoned Dwarf plays driving traditional Celtic music, and for them, the tunes matter most. Focusing primarily on Irish traditional music, and with acoustic instruments only, this band from Williamsburg, Virginia has entertained audiences in many different settings for years. The Irish flute, whistle, guitar, Scottish Small-Pipes, banjo, a variety of percussion instruments (including bones and bodhran), accordion, and of course fiddle are all brought to the dance for Poisoned Dwarf performances. Music for recording artists Lana Puckett and Kim Person has been a lifelong passion since early childhood. Each artist brings a uniquely different musical and vocal style to the duo as well as both being multi-instrumentalists. "Straight From The Heart" is what you get from the performance team of Lana Puckett and Kim Person. Passionate vocals, precision harmonies and impeccable guitar playing will draw you in like a magnet. Both artists are polished musicians and warm entertaining singer/songwriters. Includes four long-time Williamsburg-area musicians playing a wonderful variety of bluegrass, old time, and swing music. With lush vocal harmonies and hot instrumentals, the band combines the sound of early string bands with a strong New Acoustic edge. Timothy Seaman’s music genre is a vibrant self-styled blend of Appalachian, Classical, Celtic, and contemporary approaches. Folk music is done quite differently than it’s usually heard; and many of Timothy’s best pieces are his new compositions encompassing many different styles and moods. Audience comments after concerts often express joy, awe, and gratitude for a thrilling experience. This a’cappella men’s group features a variety of musical presentations. The ensemble has performed in professional concerts, historic theatres, music festivals, the Richmond Pops Band, and Barbershop Harmony Society Shows. A blend of blues, country, folk, old gospel and rock n roll, Stainback has laid the foundation needed to pursue his sound even further with his newly formed group Roosterfoot. What started out as a father/son duo with Keith Stainback has turned into a soulful powerhouse after adding former Wet Willie guitarist Larry Berwald , fellow shipyard worker Steven Yewcic on bass and Jason Bruner on drums. In their short time together they have already shared the stage with the likes of Lynyrd Skynyrd, Anders Osborne, ZZ Top, Hank Williams Jr., Eric Lindell, Robert Earl Keen, Kip Moore, & Bob Segar to name a few. Armed with a tough work ethic, these boys are on a big road with a long haul. The Rick Strickland Band features the awarding winning music of singer/songwriters Rick Strickland and Lesa Hudson, along with the stellar musicianship of Art Benton, Debbie Anderson and Don Hamrick. The band boasts an impressive collective resume having performed with international recording acts including Billy Joe Royal, The Clovers, Joe South, The Shirelles and Ray Stevens, and have performed at some of the nation’s most legendary venues. RSB’s musicianship and vocals are stunning, the music & lyrics touch the soul and are fun to sing and dance to, and the energy and professionalism are always over the top when the Rick Strickland Band takes the stage! Come and enjoy the versatile sounds of acoustic guitarist/instrumentalist Louis Vangieri. He is a relentlessly creative acoustic-guitarist/songwriter and performer and has been active in the acoustic-music community since the mid-1970s. He performs a blend of folk, country swing, pop-rocker, traditional, soft jazz, peaceful new age, classical, nostalgia and well written original works. This is the ultimate party band featuring R&B, Soul, Beach, Country & Funk. Shag the night away or sit and listen. The Main Event Band delivers top-notch vocals, a tight rhythm section, and one of the best set of horns. Entertainment and education in interactive musical shows for all ages. Relive and fall in love all over again with the lively, infectious music of the Kingston Trio. If songs like ‘The MTA,’ ‘Tijuana Jail’ and ‘Tom Dooley’ bring the memories flooding back, you don’t want to miss this. We dare you not to sing along! A 16-piece authentic big band that plays all the best music from the height of the swing era, 1930’s and 1940’s, as well as some popular swing hits of today. Hear the original arrangements from many of the bands that played and recorded those all time favorites.